I grew up in South Dakota and we didn’t have a spring break, we had a long Easter weekend instead. In Dakota, as I like to refer to it, we were never scheduled a spring break and I’m not exactly sure why, but I think it was because of all the ‘snow days’ we would have off during January through March due to bad weather. Some winters were gentle and we’d get out of school in May, earlier than expected, but sometimes not so much. Tis the beauty of middle America, you never know. Spring Break on the California central coast is coming up. Families will be headed on vacation, kids will trip to Disney Land for the day and beach bonfires will be in full swing. There is SO much to see locally on the central coast for those of you who will stay close during your week off. The hiking trails are green and lush after the much needed rain we received. One of my all time favorite hikes is up Gaviota Peak - and in the spring it is a phenomenal view at the top. They rate this trail as moderate - hmmm… I’d say its a bit more strenuous than moderate. Its a clean, fairly groomed trail, but I’d allow for at minimum 1.5 hours to get to the peak. SO worth the sweat! It’ll only take you about 45 minutes to get down. Another hike that is stunning this time of year is Point Buchon trail located on the northern end of PG&E property. Point Buchon is accessed through Montana de Oro State Park. Check in at the kiosk and enjoy the fairly easy walk along the bluffs. The hill side will look like Ireland this time of year. Watch for rattle snakes though. A day trip to Hearst Castle is always fun. We’ve done several tours of the castle and grounds and every tour is different because every guide has unique stories. Always facinating. And don’t forget to drive a bit farther up Hwy 1 to see the elephant seals just past San Simeon. If you’re looking for some low key relaxation, the central coast has some great camping spots. Those by the beach, Refugio, Gaviota, Pismo and El Cap will probably fill up fast. Pinnacles is an amazing spot this time of year. It’s one my favorite places to camp in the spring. Hiking in the canyons can get hot, so start your day early. Definitely take the time for Chalone Peak - stunning views of the park and the Salinas valley. The overnights can get down in the 40’s so be sure pack your warm clothes. Now I’m itching for a get away…. 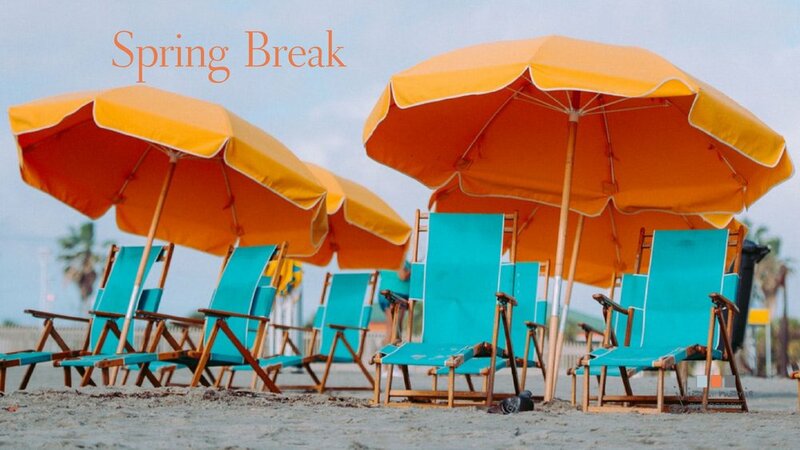 enjoy your spring break and stay safe.